Win a Tidy Table Tray worth £34.95 from EatWell-UK. 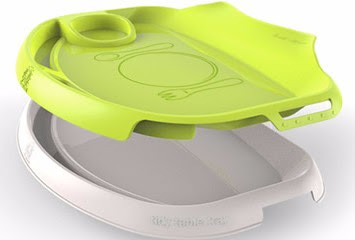 Award Winning, The Bambinos Tidy Table Tray is an innovative way to bring babies and young children to the dining table. It clips easily to tables (of all thicknesses) and features an 'easy to remove' insert with a flexible lip to catch spills and make tidying up a breeze. 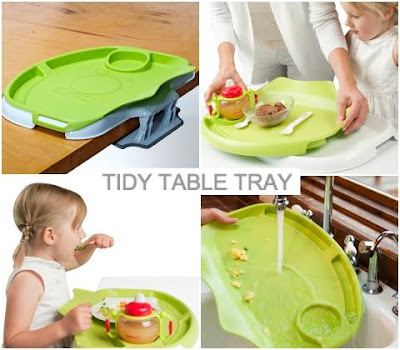 The Tidy Table Tray invites young children to eat with parents and other family members, while giving them a special place at the big table just for them. The tray has interactive locations for cups, spoons and forks, so that as your child grows, they can learn that different things go in different places. The base tray allows for meal time to become craft or play time after eating is over. • Clips to tables/breakfast bars etc in seconds. • Has a spill catch design which protects tables, clothes and floors from mess. • Reduces the need for bibs. • Contains a snap-in tray insert for a quick meal setup and cleanup. • Has illustrations to help children understand where to lay cutlery and place their cup. • Accommodates high chairs (such as Tripp Trapp) and booster seats at table. Is dishwasher safe and BPA and Phthalate free. Please note: You must at least follow/like both Unique Young Mum and EatWell-UK on at least one social media platform! To find out more about EatWell-UK and to view their other brilliant products, check out the official website here.